This collection of milestone birthday cards was created for Hallmark's Signature line. 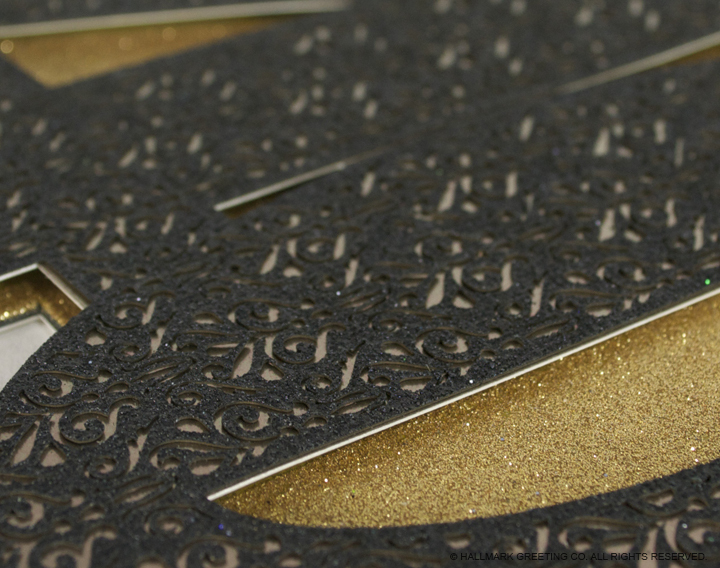 I designed these decorative numbers and explored different materials and capabilities on the laser cutter machine. Using wood, plastic, glitter and foil I created a collection that is more of a keepsake then just a card. This collection was art directed by Jen Walker. Available at a Hallmark Gold Crown store near you!